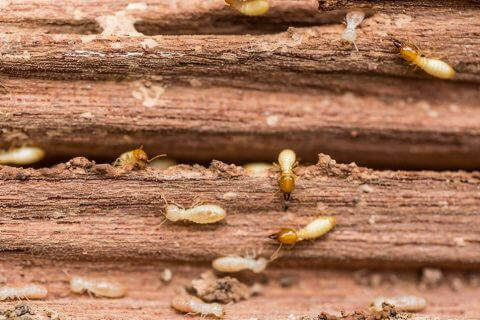 Termites eat wood and can cause great structural damage to your home. A typical homeowner’s insurance policy does not cover destruction caused by termites, even though they cause over 1 billion dollars in damage to homes throughout the United States each year. Our termite protection, inspection and treatment program can help you understand the threat of termites and take the necessary steps to protect your home. You can’t assume your home is termite-free just because you’ve never seen them – they only swarm once or twice a year, and you might miss it! 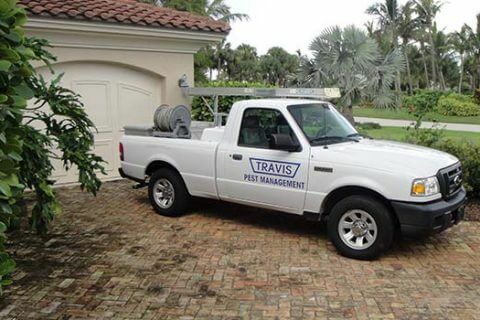 We thoroughly inspect your home or business, looking for the signs of a termite infestation. In Stuart, Palm Beach, Port St. Lucie pests come in every shape and size. Besides the pests harming the plants in your lawns and property in your homes, some even sting like wasps and fire ants. Due to the stings, the family members may even suffer from allergic reactions. Strict termite inspection and control is then required. The homeowners of Florida must watch out for the destructive signs of a probable termite infestation. Different pests are a threat during different seasons all year long. During winter rats and mice are mostly seen indoors while chipmunks are more active during summers. The bigger animals like raccoons hide inside the garbage cans and can invade your property throughout the year. To control termites, our pest control management team create an effective treatment plan that’s right for your home or building. Direct Contact – when possible, we apply chemicals directly to the termite colony. If you are facing any termite related problem anywhere in your home, call us at (772) 287-7411 for a full proof termite protection strategy.